BBC News website readers have been sending in their photos of April's snow showers. 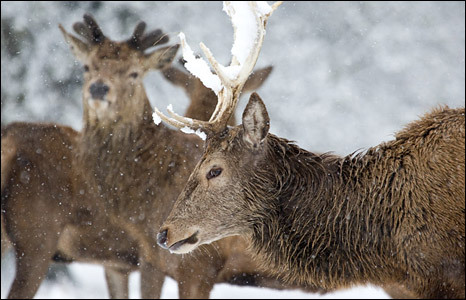 Giles Breton captured this image in Richmond Park, London. Patricia Farmer is a little worried her BBQ might not go ahead as planned. 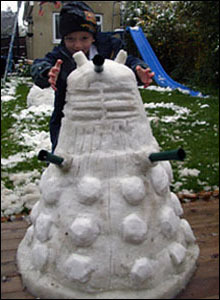 Stephen Moysey's son Nicholas tries to figure out how to exterminate this Dr Who inspired snow dalek. 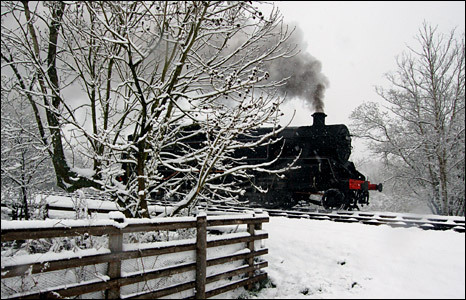 The snow was no match for the Bluebell railway, although Jude Wells didn't see many passengers braving the snowy conditions. 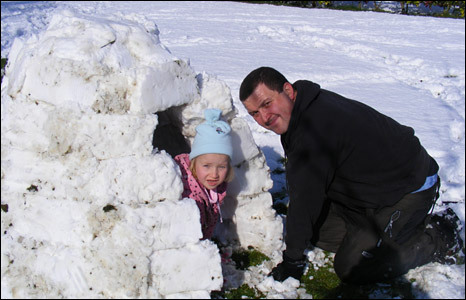 A career in construction beckons for Sasha Brades and her father Jeff who were up early in Pillerton Priors, Warwickshire building an igloo. 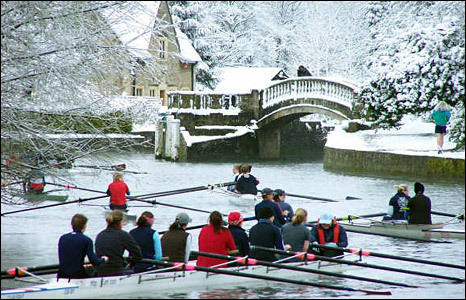 Early morning rowers approaching Iffley Lock, Oxfordshire. Picture taken by Fergus Gilsenan. 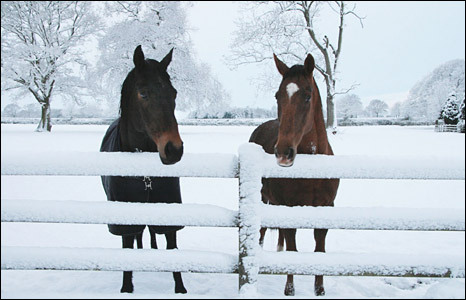 Sam Gummer took this photo of two horses enjoying the snowy morning. It's hard work building snowmen! 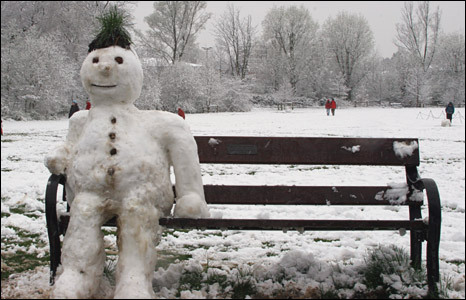 Shaheena Sachedina saw this snowman taking a break in Highgate Forest. 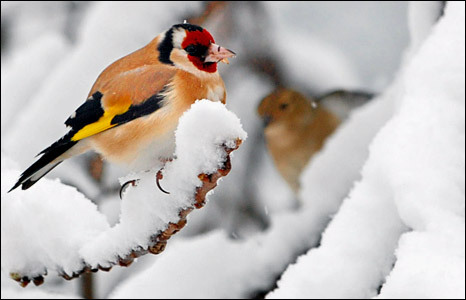 William Wells took this photo of a goldfinch on a snow covered branch in Stadhampton, Oxfordshire. 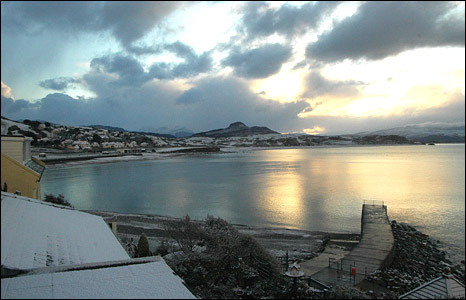 Snow showers made the early morning sunrise in Criccieth, North Wales even more spectacular. Picture by Paul Filby. 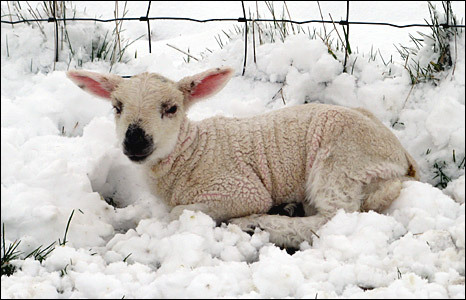 This lamb needs a wooly jumper to keep warm in the snow. 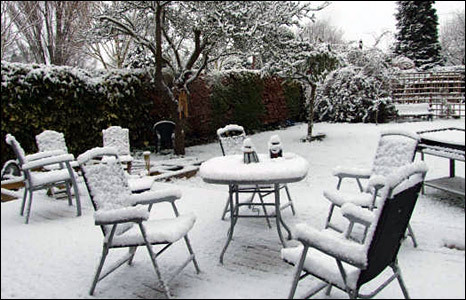 Picture taken by Brian Biggs in East Meon, Hampshire. Send your photos to: yourpics@bbc.co.uk. See right-hand link for terms and conditions.